Stealing children is becoming rampant. The family of two-year-old Esther Ojo is in distraught after she went missing during a Sunday service at a Mountain of Fire and Miracle Ministries’ church, Lagos. The incident occurred at the Pen Cinema, Agege branch of the church. It was gathered that Esther had gone to use the toilet when she went missing. Esther’s mother, Bola, said all efforts to find her had yielded no result. She stated, “We went to the church together and I am one of the children’s teachers. As of 12.31pm, we were still together and I was cautioning her not to step on the child sleeping on the bed until someone called me and I left where she was. “We were almost through with the second service and I was very busy because I was rounding off the programme. The other teachers told me that Esther said she wanted to urinate and a child of a church worker took her to the toilet. The girl was the one that used to help me with Esther whenever I was busy and Esther was already used to her. “The girl said she placed my daughter on the potty and left her there when somebody sent her on an errand to buy pure water. When she returned from the errand, I asked after my daughter and she said when she checked her in the toilet, she was not there. Ever since then, we have been looking for Esther. The source said, “We were in the church on Monday and Tuesday. We told the church to bring it to the notice of the GO so that efforts could be intensified to find her, but the church is trying to extricate itself from the incident despite the fact that the girl went missing on the church premises. Up till now, the GO has not been informed. 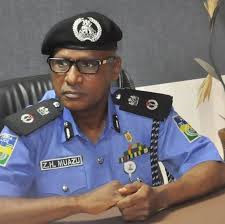 When the state Police Public Relations Officer, DSP Bala Elkana, was contacted, he said investigation into the matter was ongoing. We got the report and we have launched an investigation into the matter. We are making efforts to locate her whereabouts,” he stated.